Axis Mutual Fund has launched an open-ended Gold ETF, Axis Gold ETF. This is yet another Gold ETF similar to already existing Gold Bees and other ETFs. During the new fund offer (NFO) period, retail investors can apply for minimum of Rs.5,000 and multiples of Re.1. After the NFO period, the fund will be traded on the National Stock Exchange and traded like equity shares. The fund will be open for subscription from October 20 to November 3. Gold ETFs lets you buy Gold without the necessity of taking physical delivery and without the associated risks of physical storage and impurities. Is Gold a good investment opportunity even at this prices? Gold has seen a steady rise since last 5 years with an annualized return of about 24%, currently trading about Rs.2000 per gram. But over 15-20 year period it tends to average less than 10% . Currently high price rise in Gold prices is due to global risk-aversion and supply constraints, as production has dropped. Is this price rise sustainable and how much one can invest in these funds? For the past 2 years investments in Gold has yielded more than 50%, this doesn't mean gold will tend to keep on rising further to get sustainable returns. 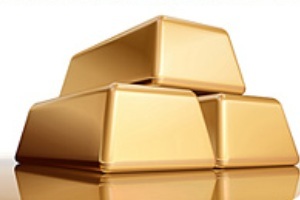 Any investment in gold can be considered as an insurance and diversification only. Therefore investors need not allocate their entire amount or large junk of their portfolio in such Gold Funds. One could invest about 10% of their portfolio only , if they haven't already invested in earlier such schemes. A whole lot of Gold ETFs are hitting the market. Is it some kind of bubble?